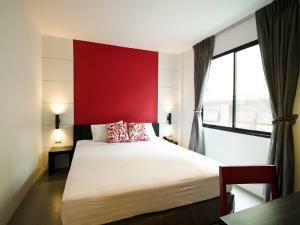 A 10-minute walk from Nana BTS Skytrain Station, DI Place Hotel offers accommodation along the lively Sukhumvit Road. 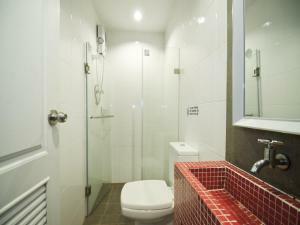 It features free Wi-Fi and air-conditioned rooms with a cable TV. 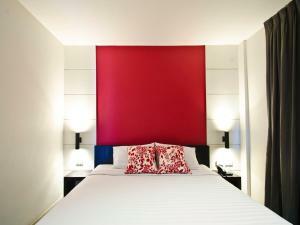 Guestrooms at Place DI come with modern décor and warm lighting. 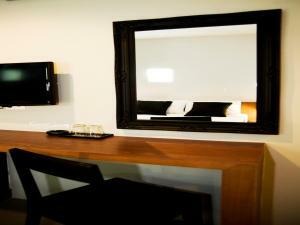 Each well-appointed room is equipped with facilities that include a minibar, and en suite bathroom with a hot shower. To relax, guests can enjoy a traditional Thai body massage. 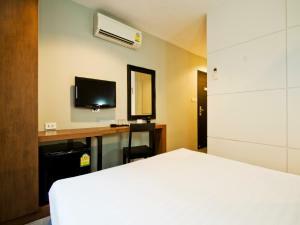 With a 24-hour front desk, the hotel provides safety deposit boxes and laundry services. Travel arrangements can also be made at the tour desk. 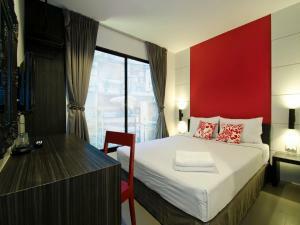 Hotel DI is 15-minute BTS Skytrain ride from Siam Paragon and Central World Mall. Suvarnabhumi International Airport is a 40-minute drive from the hotel. Larger room with a flat-screen TV. 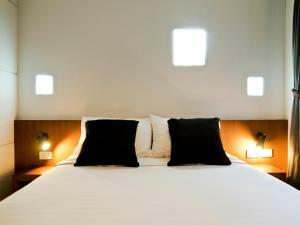 Rate: THB 1179.00 ... THB 1680.00; select dates below to get current rates. 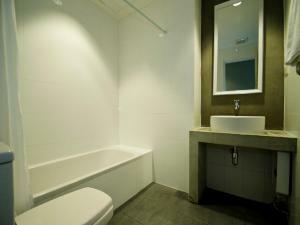 Larger room features a flat-screen TV and bathroom with bathtub.